Shane A. Horn began working as City Manager, for the City of Lakeland (TN), on October 1st, 2018. He also serves on the Industrial Development Board and Economic Development Commission. Mr. Horn previously served as city administrator of Adrian, Michigan, for nearly five years. He was also director of utilities for the city from 2007-2014 and water plant superintendent from 1997-2007. Shane was attracted to Lakeland because of the quality of life in the area, including the parks, residential neighborhoods, the amphitheater and the lake. Both Shane and his wife, Michelle, are originally from Michigan. They have two grown children who attend college in Michigan. 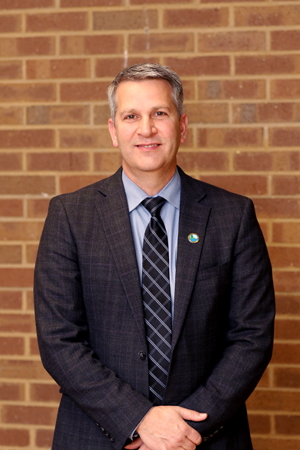 He received an Associate of Science degree from Lake Superior State University; Bachelor of Arts degree from Siena Heights University; and is pursuing a Master of Public Administration degree, from Villanova University.